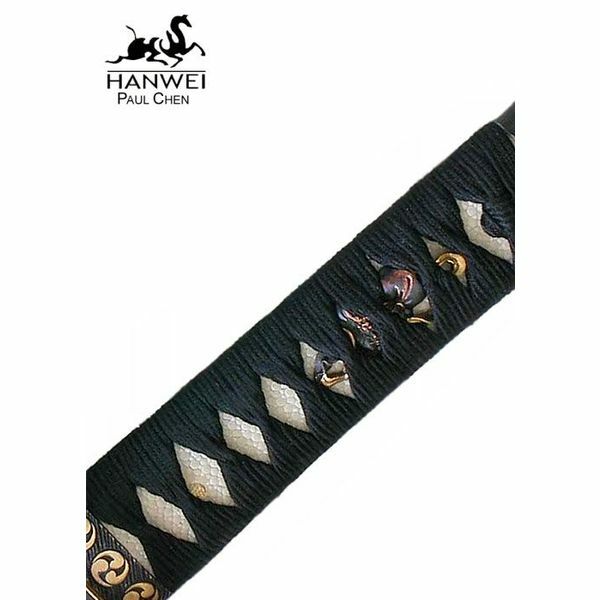 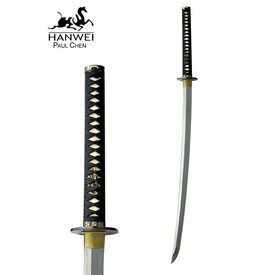 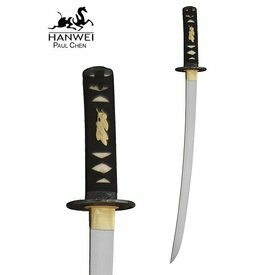 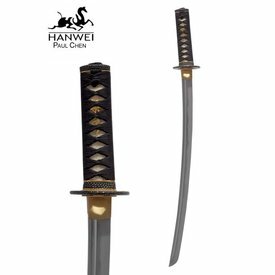 This wakizashi is made in the Wind and Thunder Series by Hanwei's Paul Chen. 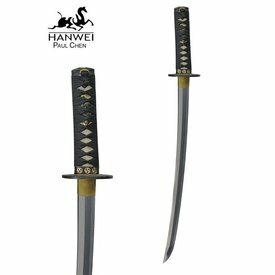 This series has been developed especially for the marshial artist who aims to use it for cutting tests. 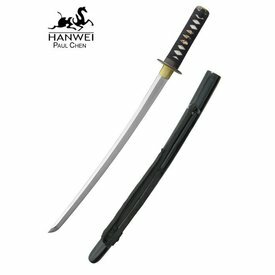 This wakizashi is completely functional and handmade. 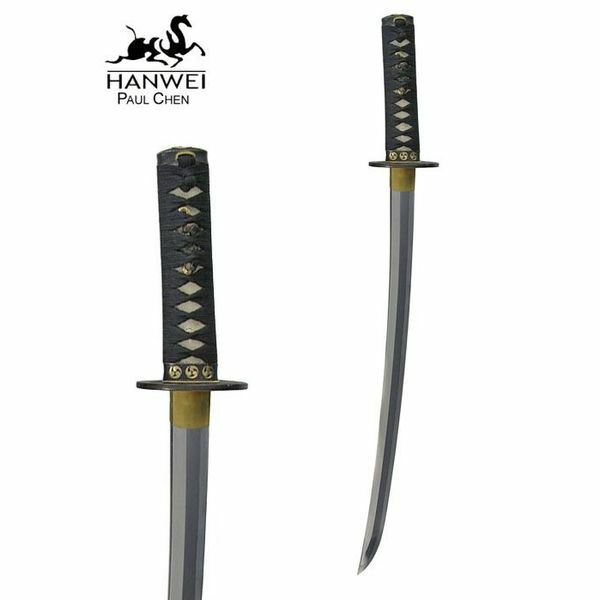 The blade is made of T10 steel and is slightly thicker than average blades, so more suitable for cutting tests. 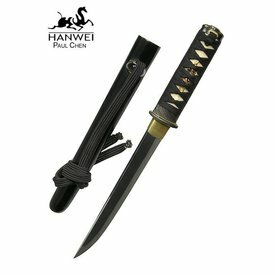 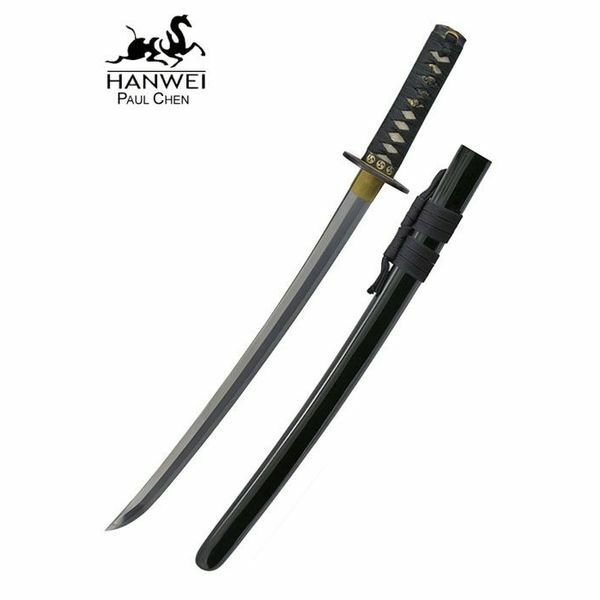 This wakizashi is 67,3 cm long with a 50,17 cm blade and a 16,5 cm grip. 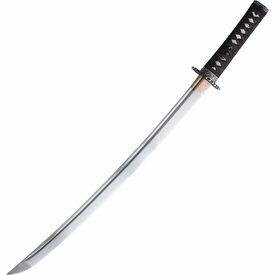 It weighs 822 grams.